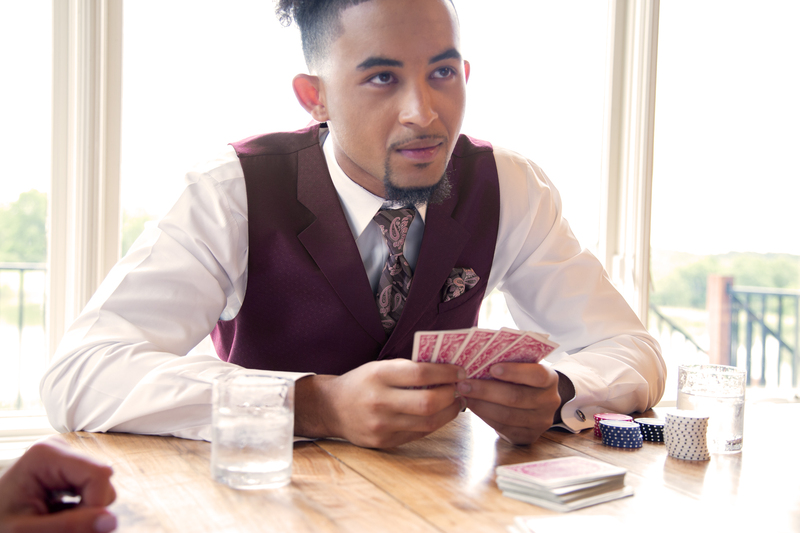 Our tuxedos, suits and accessories can help you look your best on your special day. Featuring refined styles, distinctive modern slim looks in an array of colors, we offer an unparalleled collection. Best prices with the area's largest in stock selection. *Save BIG with our prom discounts! Be the center of the party with the hottest tuxedo brands and styles. *Same day service on traditional, modern and slim fit tuxedos for business or pleasure. Find the perfect tux to celebrate the occasion. *Choose from a large selection of colored shirts, ties, vests, cummerbunds and suspenders to compliment any color sheme! Distinctive Tuxedos, Suits and Accessories! Cohen's Tuxedos is a locally owned, premier provider of perfectly tailored formalwear. Located atop "Mill Hill", in the Capitol District of Trenton, New Jersey, Cohen's Tuxedos is one of the oldest tuxedo companies in the USA established in 1912. 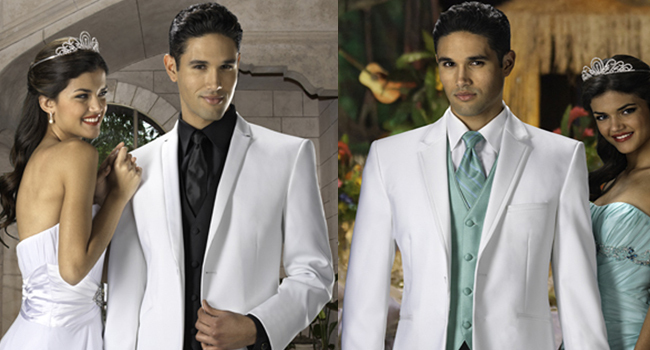 At Cohen’s Tuxedos, we pride ourselves with unmatched quality and selection. Unlike mall based tuxedo chains, our merchandise is hand selected, quality made, and always available in stock. A quality tuxedo makes all the difference. 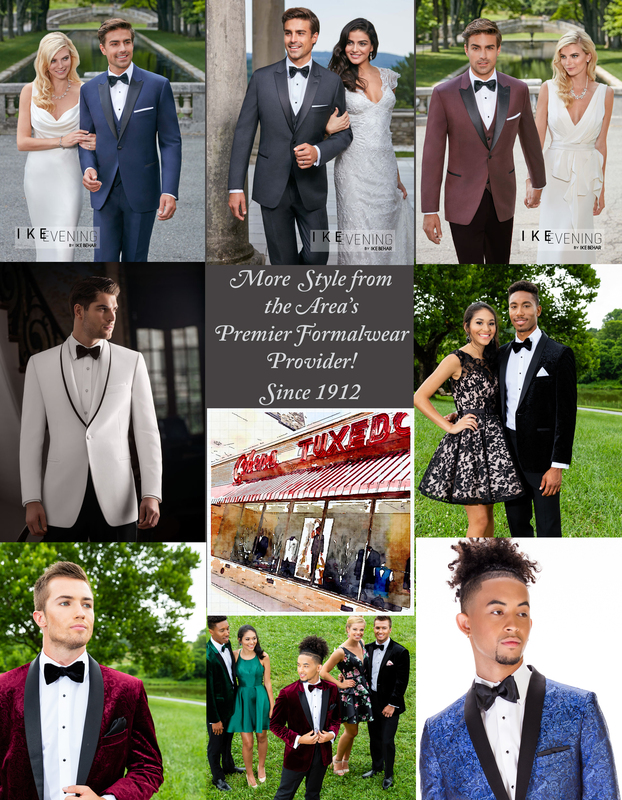 We offer the area's largest and most comprehensive collection slim and modern fit tuxedos, vests, ties, and accessories that coordinate with today's most popular dresses. We're sure you'll find the look you love. Make sure to stop in to try on our new collections including Ralph Lauren, Michael Kors, Ike Behar, Jean Yves, Allure, Madison James, MOD, Larr Brio and Calvin Klein. Come and shop at New Jersey's best tuxedo store. Schedule an appointment where you will be greeted with quality customer service, stylish suggestions, and an efficient, knowledgeable staff for your wedding day, prom or any special occasion.